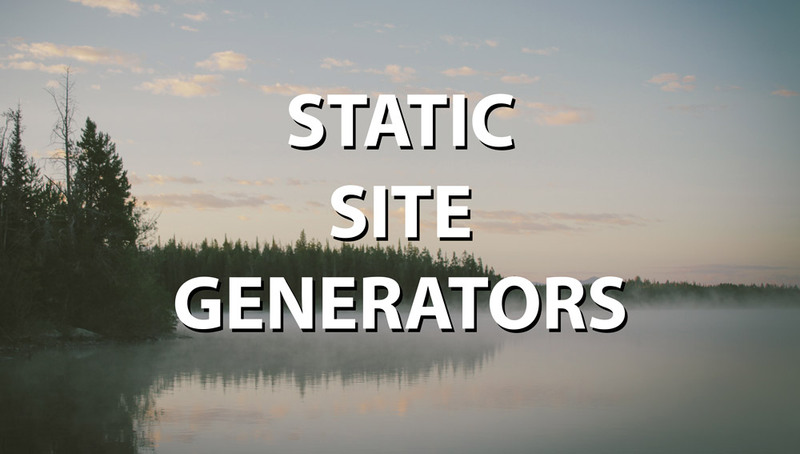 Popular static site generators include Jekyll, Pelican, Hugo and Metalsmith — see StaticGen for many more options. You won’t get far using a static site generator without some development expertise. The process is more difficult than using a CMS, there are fewer reference resources, and you could struggle to find pre-built plugins and templates. Contrast that with WordPress. A non-technical user may require installation assistance but, once done, they can edit a site and install one of the many thousands of themes and plugins available. They may not have the best bespoke website, but they’re running with minimal intervention. There are many static site generators, but even the most popular tools are used by a tiny proportion of the web community. You’ll need time to research, investigate and evaluate the options. The undisputed champion is Jekyll but, while you don’t necessarily require Ruby expertise, it will help if you’ve used the language before. There are many CMSs, but there’s one obvious choice: WordPress. It powers more than one in every four websites, so help is abundant. Again, it will help if you have some PHP experience, but even a non-developer can create a reasonable website using off-the-shelf themes and plugins. Creating your first static site will take time. You’ll need to learn the build process, and much of the template code will need to be developed. Deployment scripts may also be necessary. Developing a custom CMS theme can also be complicated, but pre-built templates are available and assistance is easier to find. File deployment is rarely required following the initial installation. But this will further impact your initial development time. Static sites are flexible: anything contained within source Markdown files can be rendered as page content. Users may be able to include scripts, widgets or numerous undesired items. A CMS constrains the user, because content is normally bound to a database with specific fields. Control panels prompt the user so it’s obvious they must enter a title, body content, excerpt etc. Even if the user enters something in an unexpected field, it won’t appear on the website unless it’s implemented within the theme template. content editing and publishing is more awkward. Editors may require access to the Git repo or shared folders rather than a simple web or app interface. build times could increase rapidly and deployment would become cumbersome. Static site generators are perhaps best suited to sites containing no more than a few hundred pages with a couple of new posts every week. Automated build and deploy processes will be required, and you may reach a point where a CMS becomes a more practical option. A true static site cannot offer interactive facilities such as user logins, form filling, search or discussion forums. There are some client-side options such as lunr.js search and Disqus commenting, but your choices will be more limited. There are solutions such as using a build step which generates a static site containing necessary <?php ... ?> code blocks. This should pre-render HTML where possible, e.g. navigation, includes, partials, etc. to ensure pages are more efficient and require less effort from the PHP processor. Unfortunately, you’re increasing the build complexity, and it may be of little benefit to some frameworks. your project requirements, size, complexity, etc. the hosting and/or deployment factors. For a practical demonstration of how to build a site with a static site generator, see my How to Create a Static Site with Metalsmith article.